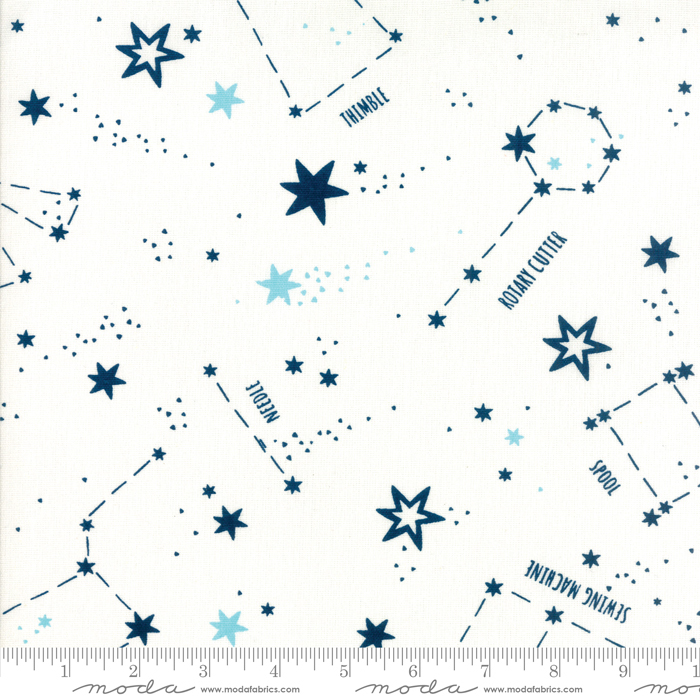 A sewing themed constellations printed lightweight canvas fabric from Moda fabrics. I Dream Of Moda canvas fabric is great for home decor and apparel. Main color of this canvas fabric is white. Image shows 9" of print. Manufacturer Care Instructions: Machine wash cold. Tumble dry low, remove promptly. No chlorine bleach.